Events are a great way to create a buzz about your business! Get new clients in the door, increase your gift certificate sales, build your business with rebooking your gift certificate clients, showcase your business and have fun! This workshop was created for Mother’s Day events, but can be easily modified for any event you can imagine! There are lots of options for your event so you can create one that is unique and fits you and your business model, whether you are an Esthetician, Massage Therapist or Spa Owner this workshop will work for you! 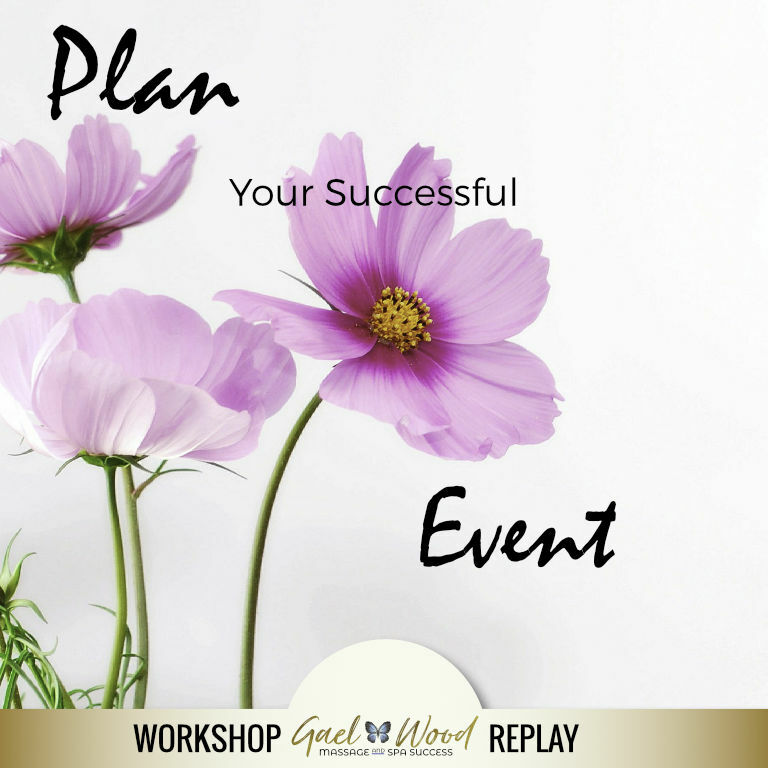 You may have tried events in the past and had them fall flat…… it happens, but with some tweaks, new strategies and planning, I know your event will be a success! What “theme” should your event have? From simple to more extravagant, plan and event that fits you and your biz! Inviting, inviting again, confirming and reminding, this is THE most important key to a successful event! Follow up! Just because they didn’t make it to the event does not mean they are not interested. Leverage your event and repeat for Christmas, and other holidays. What to do after your event to plan ahead for next year! This is a replay webinar that you can watch anytime. If you are looking for a fun and unique way to promote your business, then you must join this workshop. Stand out in your community and provide a healthy gift option for mother’s day! I am also including the following bonuses to help you rock your Gift Certificate Event!